GRIFFITH-JONES, S. with E. KARWOWSKI (2015) ‘Can the financial sector deliver both, growth and financial stability in Sub-Saharan Africa?’, in: NOMAN, A. and J. E. STIGLITZ (eds.) 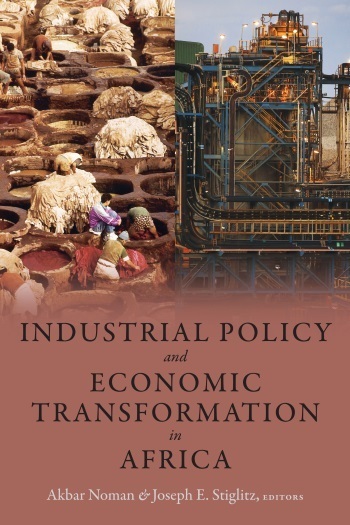 Industrial policy and economic transformation in Africa, Columbia University Press, New York. MCKINLEY, T. and E. KARWOWSKI (2015) ‘Examining the Link between Macroeconomic Policies and Productive Employment: Assessing Outcomes for 145 Developing Countries’, Working Paper 31/15, Centre for Development Policy and Research, SOAS, London. KARWOWSKI, E. (2015) ‘The Finance-Mining Nexus in South Africa: How Mining Companies Use the South African Equity Market’, in: Journal of Southern African Studies. GRIFFITH-JONES, S. with E. KARWOWSKI and F. DAFE (2014) A financial sector to support growth in low income countries, ODI Report, Overseas Development Institute. 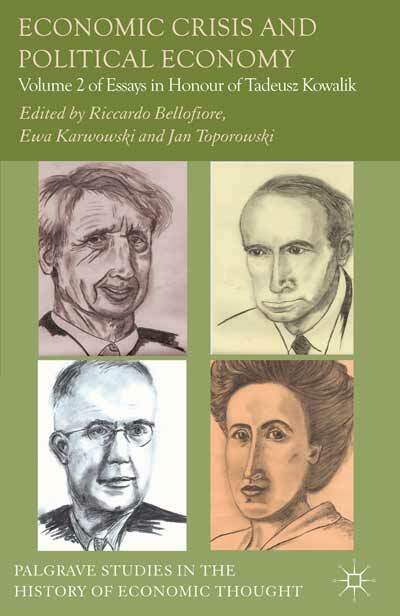 BELLOFIORE, R., KARWOWSKI, E. and J. TOPOROWSKI (eds., 2013) The Legacy of Rosa Luxemburg, Oskar Lange and Michal Kalecki, Volume 1 of Essays in Honour of Tadeusz Kowalik, and Economic Crisis and Political Economy, Volume 2 of Essays in Honour of Tadeusz Kowalik, Palgrave Macmillan, Basingstoke. COZZI, G., GRIFFITH-JONES, S. and E. KARWOWSKI (2013) Macroeconomic Cooperation and the International Monetary System, Conference Report, Initiative for Policy Dialogue, Washington, and Foundation for European Progressive Studies, Brussels. COZZI, G., KARWOWSKI, E. and C. SENTE (2013) Beyond Austerity: Building European Solidarity, Conference Report, Foundation for European Progressive Studies, Brussels. GRIFFITH-JONES, S. and E. KARWOWSKI with N. HLUNGWANE (2013) Policy and research issues on finance and growth for Sub-Saharan Africa, paper prepared for UNDESA and JICA/IPD Africa Task Force. 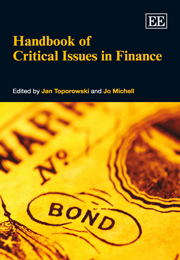 KARWOWSKI, E. (2012) ‘Islamic Banking’, in: TOPOROWSKI, J. and J. MICHELL: Handbook of Critical Issues in Finance, Edward Elgar Publishing Ltd, Cheltenham. KARWOWSKI, E. (2012) ‘Productivity Notes: Only for Politicians is Productivity Everything’, in: Polyvocia SOAS Journal of Graduate Research, Vol. 4. KARWOWSKI, E. (2010) ‘Bringing Islamic Banking into the Mainstream is not an Alternative to Conventional Finance’, in: Capco Journal of Financial Transformation, Vol. 30, pp. 155-161. KARWOWSKI, E. (2010) ‘Financial Stability: The Significance and Distinctiveness of Islamic Banking in Malaysia’, in: TAVASCI, D. and J. TOPOROWSKI (eds. 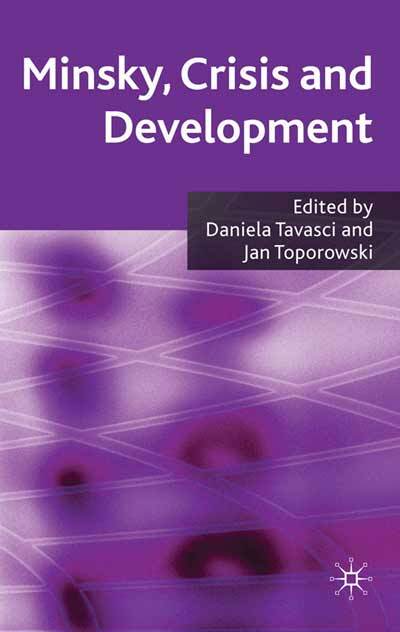 ): Minsky, Crisis and Development, Macmillian Publishers, Hampshire. KARWOWSKI, E. (2010) ‘Challenging the Conventional Banking System: Does Islamic Banking Provide more Financial Stability? – A Theoretical Review’, in: HERTWIG, J., MAUS, S., MEYER SCHWABEDISSEN, A. and M. SCHULER (eds. ): Global Risks, Construction World Order through Law, Politics and Economics, Dresdner Schriften zu Recht und Politik der Vereinten Nationen, Band 14, TUD Press, Dresden. KARWOWSKI, E. (2009) ‘Financial Stability: The Significance and Distinctiveness of Islamic Banking in Malaysia’, in: Levy Economics Institute Working Papers, No. 555. KARWOWSKI, E., KLÖPPER, H. and R. MÜLLER-EISELT (2007) ‘Die Problematik des Technologietransfers in den deutsch-chinesischen Wirtschaftsbeziehungen am Beispiel des Automobilsektors’, in: NIEMANN, A. and A. BRAND (eds. ): Aktuelle Probleme Bundesrepublikanischer Außenpolitik, TUD Press, Dresden.